This year I've given a handful of presentations on the topic of Jewish Humor. I talk about the Jewish comedians who have been making people laugh over the past sixty plus years. I show video clips of the legends of Jewish comedy from Sid Caesar, Jack Benny and Milton Berle to Lenny Bruce, Woody Allen and Andy Kaufman. I also talk about more modern Jewish comics like Jerry Seinfeld, Adam Sandler, Richard Lewis and Seth Rogen. There aren't many female Jewish comedians in my presentation. I mention Sophie Tucker as the first major Jewish comic for her vaudeville performances. Of course I talk about the legendary Gilda Radner, who grew up in Detroit and attended the University of Michigan in Ann Arbor before becoming famous on Saturday Night Live. I also mention that over the years there have been several female Jewish comedians like Joan Rivers, Elaine Boosler, Rita Rudner, Roseanne Barr, Fran Drescher, Judy Gold, Susie Essman, and Sandra Bernhard. None of these female comedians however elicit the response I get when I talk about Sarah Silverman. 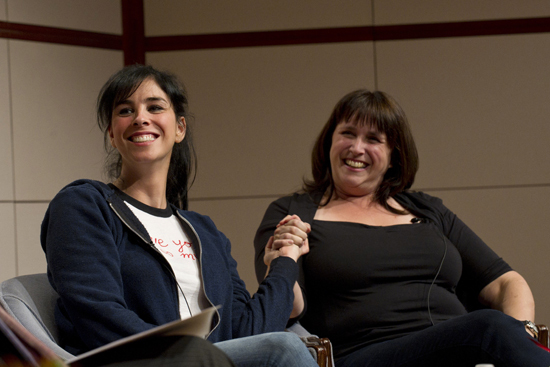 People love Sarah Silverman (even if they're uncomfortable when they laugh at her jokes). Comics like Joan Rivers, Roseanne Barr and Sandra Bernhard were trailblazers, but if you had to pinpoint one joke as a breakthrough for this new generation of female comedians, it might be this one: “I was raped by a doctor, which is so bittersweet for a Jewish girl.” When I saw Sarah Silverman deliver that signature one-liner in a downtown theater almost a decade ago, the audience exploded with laughter followed by groans. Then came the anxious chuckles whose subtext seemed to be: I can’t believe I laughed at that joke. Sarah Silverman's comedy is very Jewish and she pushes the boundaries like no other female comedian today (Whitney Cummings comes close, but she's been heavily influenced by Silverman). Not since Lenny Bruce's shtick about the difference between the Jewish God (in a mezuzah on the doorpost) and the Christian God (on a cross and in movies) has a stand-up comic been able to make theology so funny in such a provocative way. Her movie "Sarah Silverman: Jesus is Magic" riffed on religion in a way that oddly seemed to be both offensive and hilarious at the same time. 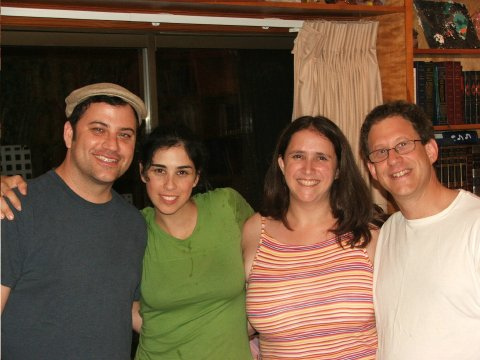 Sarah Silverman's influence in the 2008 presidential election with "The Great Schlep" video was nothing short of brilliant when she encouraged young Jewish liberals to travel to Florida to convince their grandparents that it was okay to vote for Barack Obama even though he's black. She has also promoted social justice work and eradicating worldwide hunger with her contribution to the American Jewish World Service video and her own "Sell the Vatican, Feed the World" video. And of course her famous video with Matt Damon was well... you have to watch that one for yourself. "2008 presidential election with "The Great Schlep" video was nothing short of brilliant when she encouraged young Jewish liberals to travel to Florida to convince their grandparents that it was okay to vote for Barack Obama even though he's black." Yeah nothing says brilliance like accusing thousands of people of bigotry based solely upon their religion and age group.